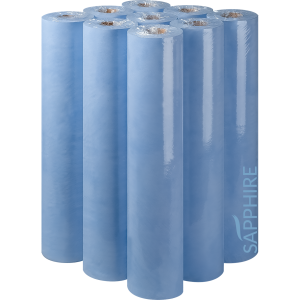 Sapphire Recycled Couch Rolls are manufactured following strict CHSA guidelines using quality Fourstones white and blue recycled tissue paper. 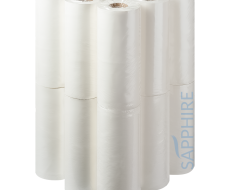 Made from recycled tissue paper, this product offers an alternative that appeals to both environmentally focused and price conscious consumers. 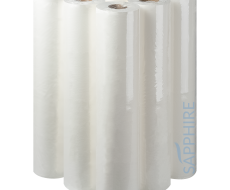 Our recycled products come in standard 250mm and 500mm widths in both 40m and 50m rolls.